Cooktops have become a popular addition to kitchens in homes where entertaining is important. 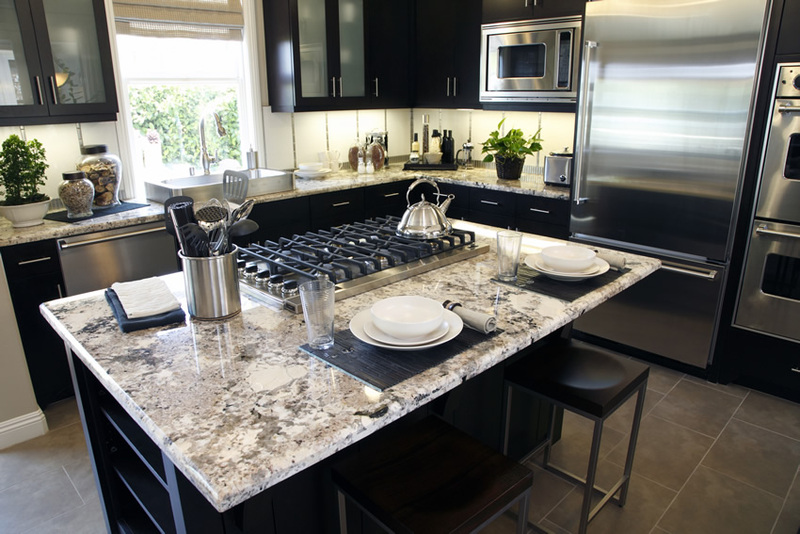 You can accommodate your guests better in an island setup since cooktops are simply the burners of a standard range, on their own. How fancy are you, sautéing away, as you look your guests right in their eye and chat them up? No more feeling left out of convos as you slave at the traditional stove with your back to the crowd. You can also vent more creatively and keep your back straight as an arrow with wall ovens… no more stooping and lifting dishes up and out. Sold yet? Let’s look at a few of the most important considerations in a cooktop, and point out some desirable features. I’m here to help, since cooktops are dominated by niche companies like Jenn-air, Thermador, and Wolf. If image is a big part of this decision, the knobs are definitely something to consider. Knobs in front look cool and trendy, but do you have kids? Be cautious of them thinking the knobs are cool too, although some have a control lock feature for safety. Sometimes, knobs can get in your way if you’re pulling heavy pots off, too. Knobs on the side are nice, but can become inaccessible (and therefore pesky for everyday use) if placed too far out of reach. Touchpad controls are easier to use than knobs or dials, but they’re more likely to malfunction. 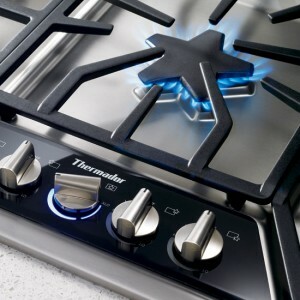 Something else to consider, that is more function than fashion: a useful burner layout. Make sure there’s enough space between burners to use several pots at once without much shifting. Smaller burners should be in front so that you can attend to tasks that require close attention, like simmering. Don’t forget cleanup. Even if you use the cooktop as infrequently as a few times per week, you’re going to want clean up to be a dream rather than anything close to a nightmare. Look for removable knobs and an upswept lip or rim to contain spills. Smooth top electric models may require special cleaners to prevent scratches. On a gas cooktop, look for sealed burners and grates that are dishwasher-safe to make part of the cleanup task as easy as washing your dishes. Stop in to Kieffer’s today or give us a call at the showroom (215.699.3522) and let us help you figure out which cooktop is best for you! It’s a great appliance and we’d love to show you a few great options. Or click here to browse around yourself!